SHOWINGS BEGIN 20TH NOON-4PM. More photo's on Tuesday. Beautifully updated custom home situated in Whispering Palms and offers country club living at it’s finest. Living areas and master bedroom have sliding doors to landscaped backyard, pool, fountains. Kitchen updated granite counters + island, stainless appliances, 2 dishwashers. Master bedroom on entry level. Approx 3000sf, skylights for plenty of natural light. Lives like a 1 story. Lap pool & spa in beautiful low maintenance back yard. Priced to sell – Home recently updated shows well appointed features at every turn. This one-of-a-kind custom home is situated in Whispering Palms. 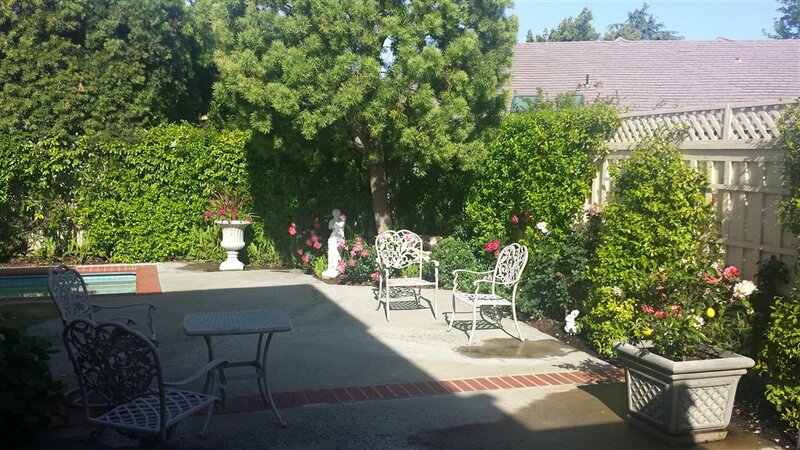 From the entrance you can see the beautiful living room and views through to the gorgeous back yard and pool. The floor to ceiling sliders bring in plenty of natural light. Culinary kitchen with updated warm wood cabinetry, granite counters & island, stainless appliances, 2 dishwashers, gas range, large pantry just steps away from the formal dining room! Master suite has its own fireplace and sliding glass doors that open to the backyard. Bathroom is luxurious with deep soaking tub and large walk in shower. 2 vanities, walk in closet and another closet. 4 bedrooms, 4th fitted out to be an office. Approx 3000sf with skylights allows plenty of natural light. Lives like a 1 story, master downstairs. 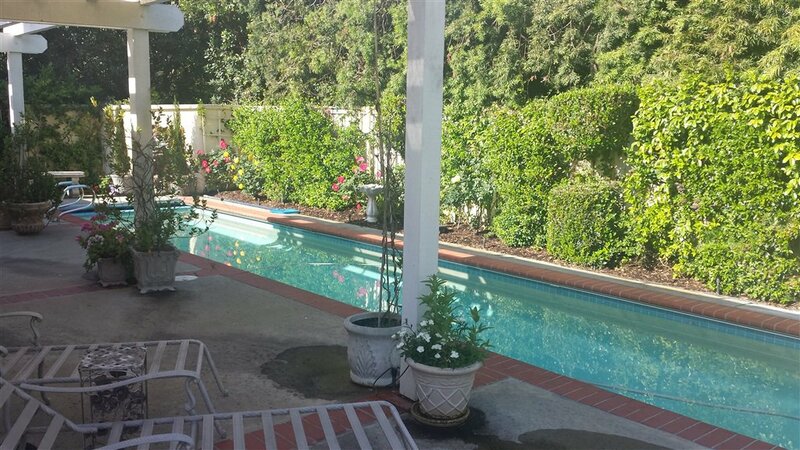 Large refreshing lap pool & spa situated in a beautiful low maintenance private back yard with fountains and flowers. 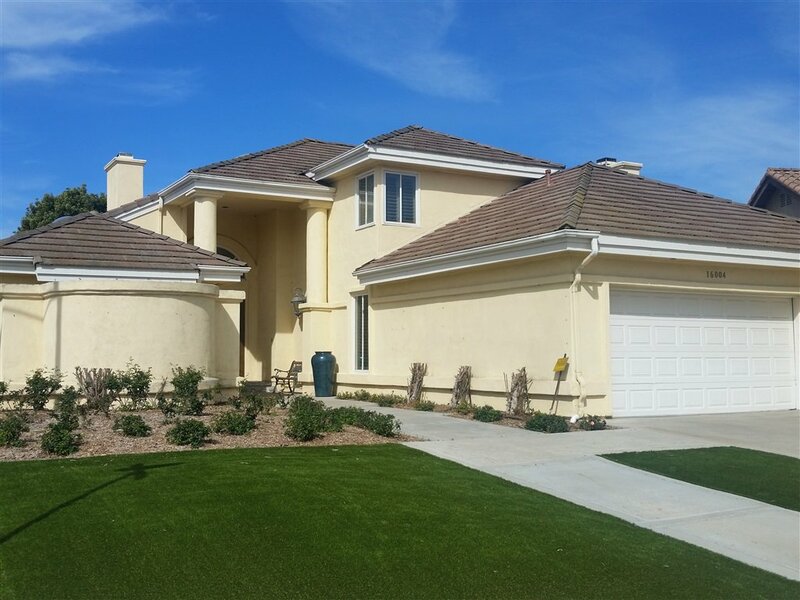 Newly landscaped and includes new watering drip system, faux lawn and plantings. Marble tile and newer carpets. Water softener. New furnace. Hot water recirculating pump for rapid hot water throughout house.